This gorgeous figurine has been based on the artwork of well-known fantasy artist Amy Brown! 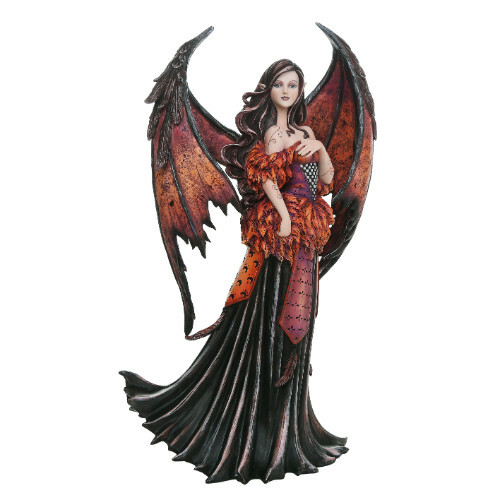 The fairy sports a pair of bat-like wings, done in shades of red and brown and black. She's got an outfit that matches, covered in ornate ruffles and fancy patterns. Not your average flower faery, and a magical addition to the home decor! Size: 11 1/8" x 6 1/2" x 17 3/4"